Plush Styles: Suits For Women: What To Look Out For When Buying And How To Look Good In Them. Suits For Women: What To Look Out For When Buying And How To Look Good In Them. I have written about tips to look for when buying a suit for the men and i think i should do likewise to for the women. 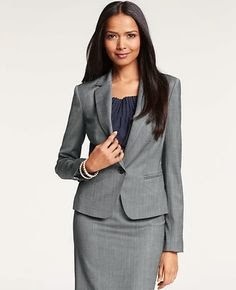 I personally respect when a lady wears a suit/blazer. It make her look powerful, direct and very professional. Suit for ladies can be tricky for women to find, i will let you in on a few tips on what to look out for but the first thing to ask your self is what look do you want? Skirt or pant suit? or just casual suit? If you have decided what look you want to go for then you can decide how and what to wear with it. Skirt look; With the skirt look, you 'may' need to also wear pantyhose with it but that is not really compulsory. Avoid a mini skirt at all costs, and be careful of slits in the skirt. Make sure the skirt is just a little above your knees or just and inch below your knees which will give you a more moderate look. It's Also better to avoid pleated skirts as they just add a bit more bulk. 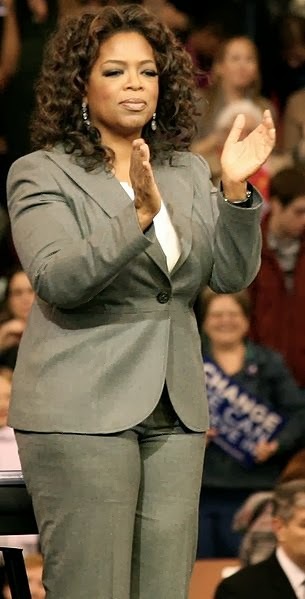 Pantsuit: The best thing about wearing pant suit is the comfort. You have no restrictions with it as long as it is a correct fit. Casual suits: Some suits looks more casual than others so if you are going for a for casual look, wearing a suit with lighter fabrics like cotton or linen is the best option, mixing and matching it with a pair of fitted jeans or a simple fitting dress. What to look out for when buying a suit. 1. Look for a trim suit that hugs your body but not too tight, good enough for your hands to move freely. The suit should drop and stop at your hips. That's your perfect size as anything longer won't look sharp. 2.The most obvious tip is to pick a suit that hugs your waist and shows off your curves and also consider your body shape. 3. The single button blazer is the best choice as it closes just under the busts and brings out that sillohette. If you are blessed with a bigger bust then better for you. 4.Always remember to check for suit quality. Well-made suits have full linings, neatly finished lines and hand sewn buttonholes. Women's suits don't have a strict set of rules like men's suits, but you'll still want to make sure that your suit fits your shape and size. What you wear with a suit is just as important as the suit itself. It's important that the accessories you choose to wear matches well with your suit look. If you choose a professional look (skirt suit or pantsuit), simple and basic accessories are always best. What you wear with the suit should also be of lighter colors. For a more casual look, you can go with a colorful blouse or camisole underneath and a bit of heavy but jewelry. There women's suits are available as 3-piece sets, with a jacket, pair of pants, and skirt included. Great options for women who don't want to buy separate pant and skirt suits.